Charging a 5 cell 18v lithium battery with single charger? I want to charge a 18v cordless drill lithium battery, which is basically 5 Panasonic INR18650-20R 3.7v cells connected in series. 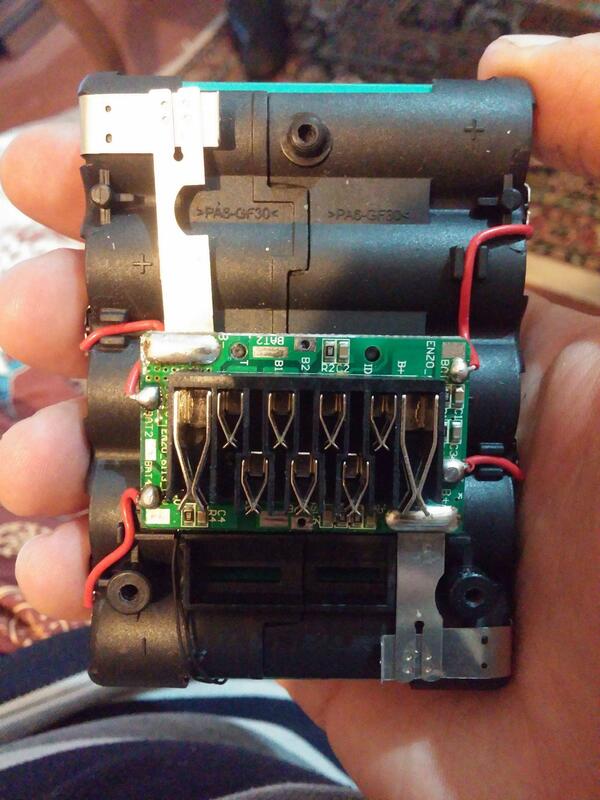 the battery pins are BATTERY+, BATTERY- and 4 pins marked BATTERY1, BATTERY2, BATTERY3 and BATTERY4 which are connected between + and - of batteries (probably used for balanced charging) I searched for a way to charge this thing, but all i found was about using a balanced charger. However, is it possible to charge each cell individually using a single tp4056 charger? like, connecting BATTERY- and BATTERY1 to charger and, after finished proceed to BATTERY1 and BATTERY2 and so on? Yes, that's possible. If all you have is a single cell charger, then it's the only way to do it. It's not the quickest way to do it, it will take five times as long as a complete battery charger. But by the time you've finished charging all 5 cells to the same voltage, you'll have a fully charged balanced battery. What can go wrong? What happens if you forget to charge one cell, and then use it as a battery? Disaster. If you go this route, you need to be organised enough so that never happens. You have five times the handling of the battery, and mucking about with the balance terminals. That's more than five times the chance of reverse connecting something, or dropping something conductive across terminals. 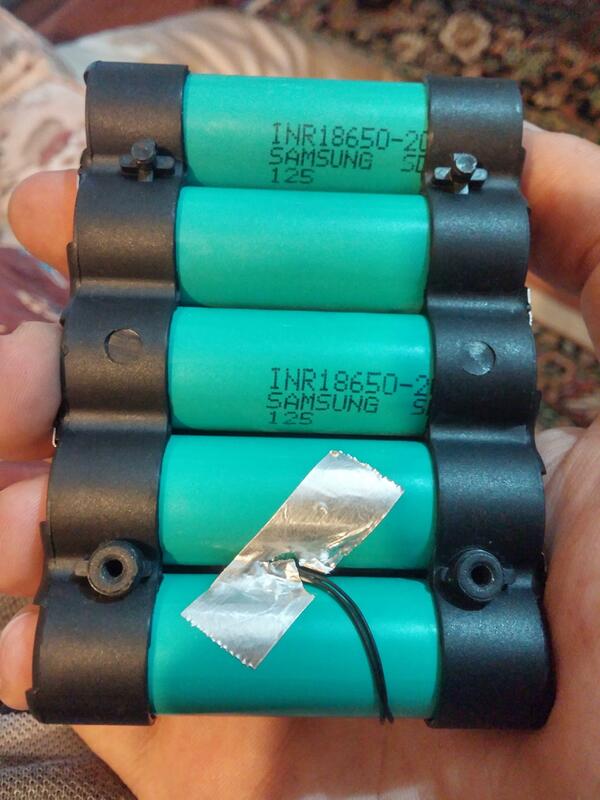 So a much more risky way of handling the battery. Be careful. Not the answer you're looking for? Browse other questions tagged charger lithium or ask your own question. How to charge double cell lipo battery with single cell charger?